Hole in The Rock Road winds its way for over 50 miles through the heart of some of the most remote and beautiful landscapes left in the lower 48. While there is not much to see from the road itself, anyone who takes the trouble to explore this country, especially the Canyons of The Escalante River, will not be disappointed. 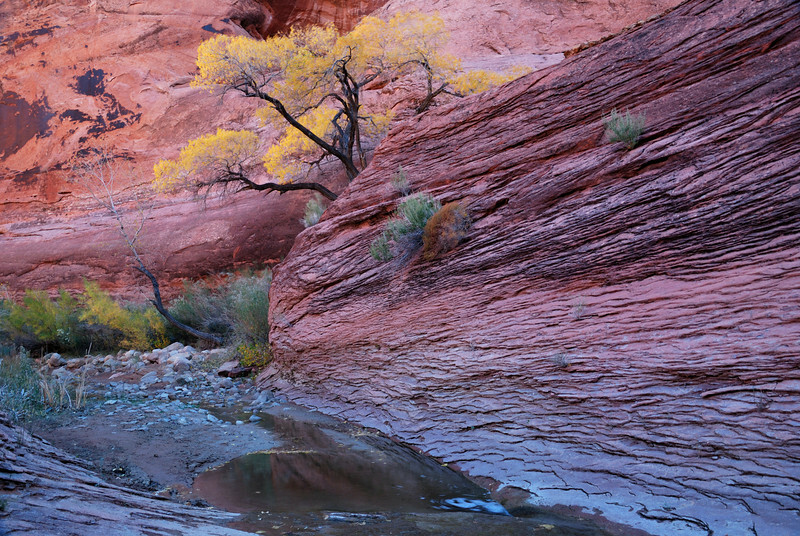 "COTTONWOOD & SANDSTONE" (Grand Staircase, UT) - Fall colors in Willow Gulch, part of the Grand Staircase-Escalante.